‘One of the greatest challenges facing civilization in the twenty first century is for human beings to learn to speak about their deepest personal concerns—about ethics, spiritual experience, and the inevitability of human suffering—in ways that are not flagrantly irrational. We desperately need a public discourse that encourages critical thinking and intellectual honesty. Nothing stands in the way of this project more than the respect we accord religious faith. I would be the first to admit that the prospects for eradicating religion in our time do not seem good. Still, the same could have been said about efforts to abolish slavery at the end of the eighteenth century. Anyone who spoke with confidence about eradicating slavery in the United States in the year 1775 surely appeared to be wasting his time, and wasting it dangerously. Thankfully, phrenology has been thoroughly debunked: the idea that the shape of the skull can be used to infer mental characteristics. Nevertheless, it was extremely popular all over the world during the 19th century, finding converts among reform-minded Bengalis in Kolkata, India, and colonial settlers in Australia. Charles Caldwell, for instance, a doctor from Kentucky who revelled in both phrenology and slave ownership. 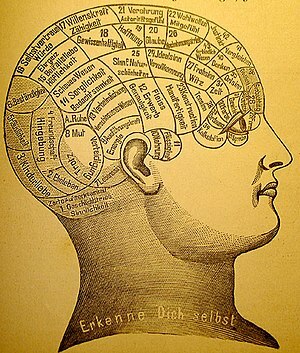 He became one of the earliest “experts” in phrenology in the United States. The fact that phrenology was used to justify slavery is perhaps unsurprising. What would one expect from such an overtly racist science? But it wasn’t just the slavers. Some of the most vocal anti-slavery campaigners of the 19th century were also advocates of phrenology, and used it to justify their stance. If anything, the majority of phrenologists were against slavery. For abolitionists, the apparent weakness and timidity of the Africans served two purposes. It countered fears that they would take revenge on their masters if set free. It also provided a moral argument: if Africans were innately weak, society should help them, not enslave them. In present western society, it is fair to say that racism has become less and less of a problem, but it would be impossible to deny that it still lingers in the far-right corners of the political spectrum.